Take a peek behind the bookcase at The Victoria, Dalston and enjoy a night of contemporary string music performed by the Ligeti Quartet and pianist/composer John Kameel Farah, featuring the European premiere of Tuggemo by Anna Meredith. Mandhira, Patrick, Richard and Val founded the Ligeti Quartet in 2010 and have since then established a repertoire that features today's most exciting and fascinating composers. The quartet's innovative approach to string music has brought them to venues such as Carnegie Hall, Curtis Institute, Wigmore Hall and Barbican Hall in the past, which doesn't keep them from performing in unusual paces such as a fishing boat or on iceberg sculptures as part of Greenpeace campaign. 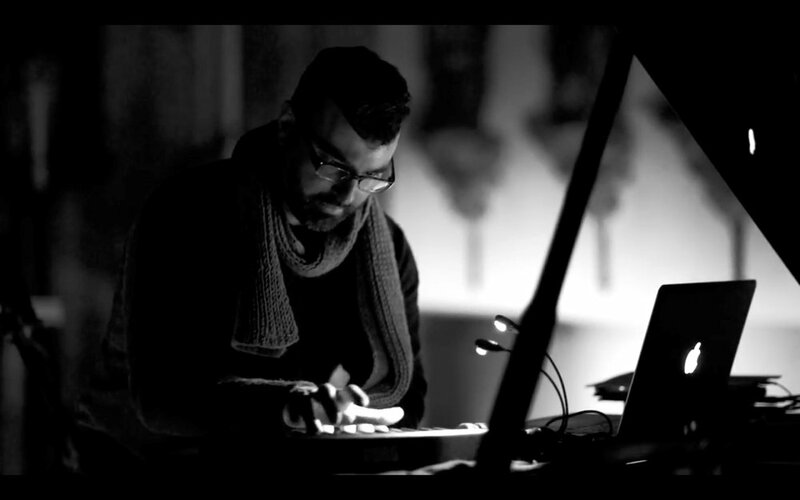 Canadian composer and pianist John Kameel Farah manages to combine baroque and early music with experimental, middle-eastern and electronic music in his compositions. At his solo concerts, he impresses his audiences with a setup of synthesizers that surround his piano, processing the sounds through computer filters and effects. DJ sets will be played by Ben Vince. Doors open 8pm, with live music from 8:30pm.